A LIMITED ENGAGEMENT THE LIKES OF WHICH HAS NEVER BEEN SEEN BEFORE. 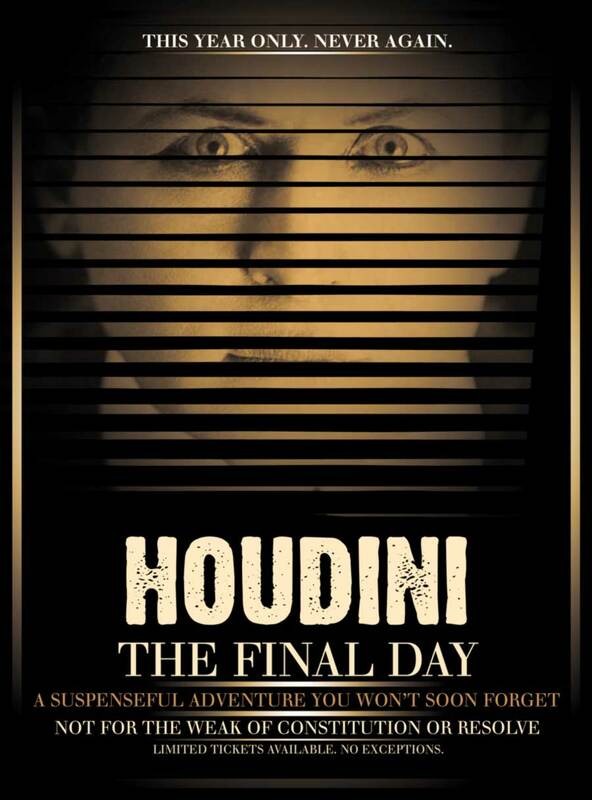 DELVE INTO THE DARK TALE OF HOUDINI’S FINAL DAY ON THIS EARTH AND UNRAVEL A DEADLY COMPLEX MYSTERY STILL UNRESOLVED. One fateful day in October, world famous magician and escape artist Harry Houdini had a life-altering encounter that ultimately took his life. Retrace his final journey and discover the facts might not be what they seem. You might think you've heard this one before, the tale about the punch, the show, and the fall. As with all of Houdini's great illusions, appearances aren't what they seem. There are many unseen layers and unexpected players involved in this story never told to public audiences in full. Join us on a gripping journey as we take you deep into the narrative and awaken names previously trapped in forgotten books and clippings. Hear about how the "most dangerous and violent cult America had ever seen" is involved. We'll visit the actual sites which lead to Houdini's undoing and experience the story first-hand. This is a rare glimpse into Detroit's dark history. Come along. 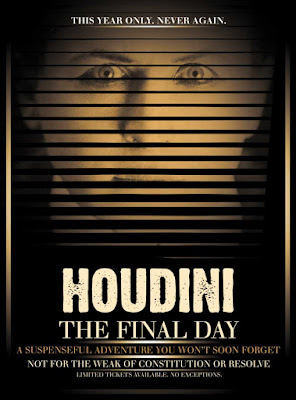 You can book at seat for "Houdini: The Final Day" at The Detroit Bus Company website. The company says the tour will be given "This year only. Never again." For a taste of what to expect, check out my own recent tour of Houdini's Detroit today. Before boarding the bus, each passenger will receive a complimentary punch in the stomach. Feel the burn as you pass by the site of the Garrick Theater. The bus will make a final stop at Grace Hospital for those who need treatment.